Several years ago, trying to find two dark, single color, v-neck sweater for my oldest son in June proved to be impossible. I finally threw up my hands and said it would be easier and faster for me to knit them for him. 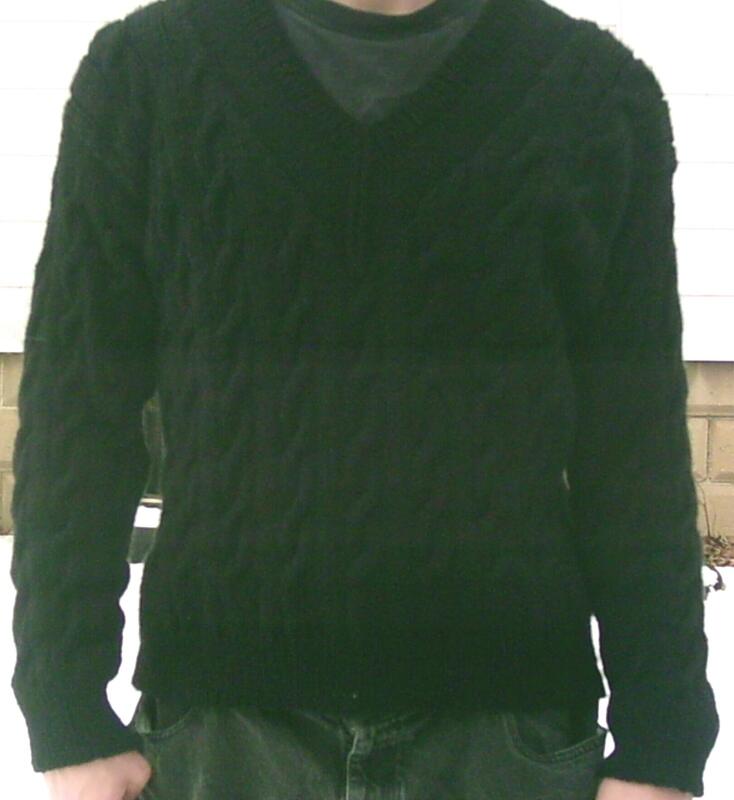 I knew I had to make them from the top down so that I could try them on him and make sure the top portion of the sweater fit in the event that I would not finish them before he left. Sure enough, I was knitting the ribbing on the first one as we were driving him to the airport. I kept that one and used it to make sure the second one also fit him. I did finish both sweaters and mailed them to him before he left the country to spend a couple of years in Brazil. As the years have passed, it has become a tradition for me to knit the same patterns for each of my sons. 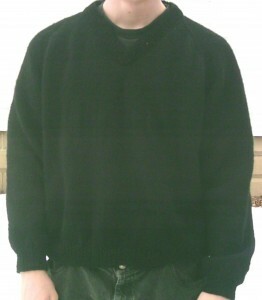 Here are photos of the two sweaters.